Washington state potato growers have voted to continue their federal marketing order program. Eighty percent of growers who voted, representing 52% of the participating volume, voted in favor of continuing the marketing order. 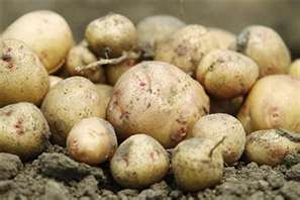 The order authorizes the establishment of minimum grade, size, quality, maturity, pack, container, and labeling requirements for Washington state fresh market potatoes. A referendum is required once every six years to decide if the marketing order will continue. For USDA to continue the program, the order must receive a favorable two-thirds majority vote from eligible growers, or a favorable vote representing two-thirds of the crop volume. Marketing orders and marketing agreements are designed to help stabilize market conditions for fruit and vegetable products. The programs allow farmers to work collectively to solve marketing problems. Industries voluntarily enter into these programs and choose to have federal oversight of certain aspects of their operations. USDA’s Agricultural Marketing Service (AMS) oversees the programs to ensure that the orders and agreements operate in the public interest and within legal bounds.